To purchase a member’s ticket for this workshop (£5) please enter the code UP_MEMBER at checkout. 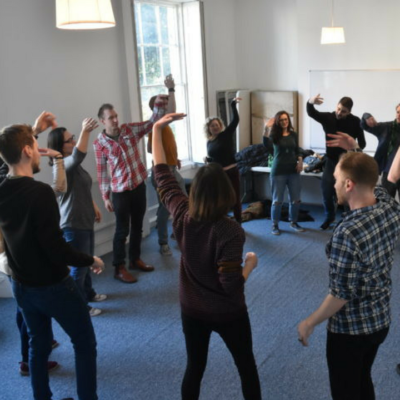 This weekly improv drop in is the perfect chance to get acquainted with the Unscripted Players, the Bristol Improv Theatre’s amateur improv company. Open to everyone, these drop-in workshops are suitable for beginners and up (no pun intended), taught by local and visiting instructors.